ETHNO is an international music camp, where traditional music from different countries is learned by ear in workshops led by the participants themselves. Every day, 3-4 participants share a tune or a song with others, the tunes are arranged together and later performed at concerts. The idea is to give the young musicians a taste of different music cultures and create a network of musicians from around the world. The whole process of workshops and learning is supported by the organizers, artistic leaders and volunteers of the camp. The very first ETHNO camp ever took place in 1990, in Sweden, Dalarna. Today, ETHNO camps are held in very different places all around the world. The camps are coordinated by the organization Jeunesses Musicales International (JMI), of which Estonian ETHNO is also a member. You can read more about that HERE or HERE. ETHNO camps have been regularly held in Estonia since 1997. Back then, two traditional music students, Krista Sildoja and Tuulikki Bartosik, had the chance to participate at the ETHNO camp in Falun, Sweden. This experience gave them a desire to do something similar in Estonia as well. The first traditional music camp inspired by their ETHNO experience, took place in the same year in Viljandi, right before the Viljandi Folk Music Festival, where the youngsters ended the camp with a big concert. Since 2000, the camp is called ETHNO Estonia. Find out more about the history of the camp HERE. Estonian Traditional Music Center organizes ETHNO camps both for children and youngsters. KidsETHNO is for children 10-16, and ETHNO Estonia for youngsters aged 16-30. In KidsEthno, the focus is mainly on traditional music, in ETHNO Estonia traditional tunes from many different countries are learned and played. 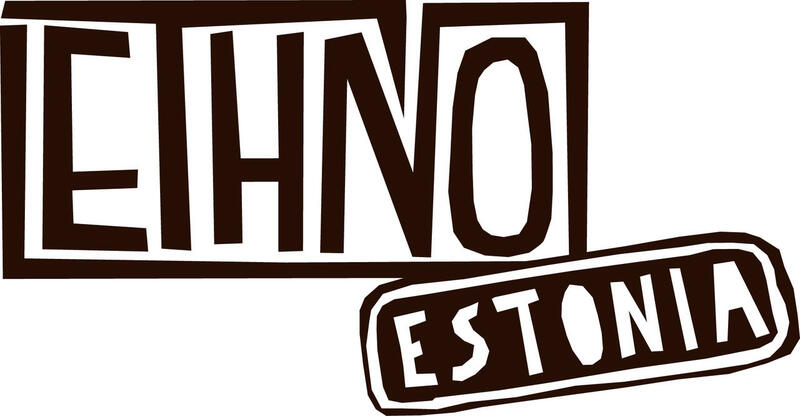 Welcome to the XXIII ETHNO Estonia 2019 camp on 16-28th July 2019! If you are good at playing any instrument and you would like to participate in a big ETHNO orchestra and find new friends from all the corners of the world, then you are very welcome to the ETHNO camp! Whether you play a melody, harmony or percussion instrument or sing – you are welcome! 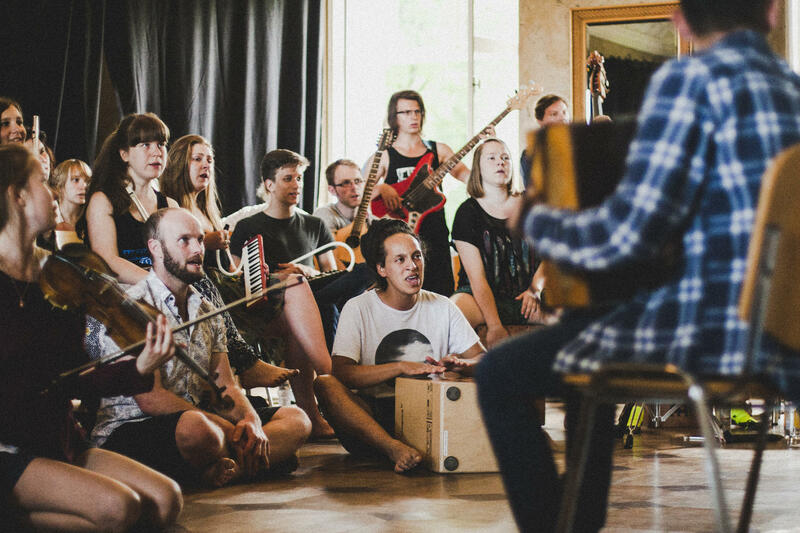 At the camp you can enjoy collective workshops, dance and bonfire nights, free stage, road trips, special guests and gigs at Viljandi Folk Music Festival. One thing is for sure – if you join us, then these will be the best two weeks of your summer! Happiness and ETHNO joy are guaranteed. Maarja Soomre is a singer, melodica player and a teacher whose heart beats for world music. She has studied classical piano, jazz singing and Estonian folk music. Maarja is teaching pop-jazz theory and Estonian folk music at G. Ots Tallinn Music School. Enthusiasm for ETHNO Camps and the passion for world music started in Maarja 7 years ago in Slovenia at ETHNO Histeria 2012. By now she has participated in different world music camps in France, Brazil, Slovenia and Croatia. Maarja organizes world music camp („MaailmaOtsas“) at G. Ots Tallinn Music School and was ETHNO leader last summer in Estonia and Germany. She’s really looking forward to Estonian ETHNO to meet inspired young musicians and play with them. Merike Paberits is a musician and instrument teacher who is mainly focused on traditional music. She plays flute, bagpipe, sallow flute and Jew’s harp. She graduated from Viljandi Culture Academy with a MA in traditional Music. Merike has also broadened her musical horizon at ETHNO camps in Estonia, Slovenia and France, both as a participant and a teacher, and done an exchange program at Academy of Music and Drama in Gothenburg. Merike has completed the international courses for ETHNO leaders Ethnofonik (2012) and Ethnofonik Allstars (2017). Merike plays in bands Nikns Suns, Paberits&Tirmaste and Black Bread Gone Mad. She has also created music for different theatre productions. Jonas is a Belgian musician and composer who plays a wide range of musical styles on piano and accordion. Since leaving his law practice behind, he has toured Europe, China, Congo, and South-Africa with world music bands such as Les Busiciens, Olla Vogala, and Transpiradansa. Together with violinist Shalan Alhamwy he formed Damast Duo, he is a member of the Syrian-Turkish-Belgian world music orchestra Jiraan, and the resident pianist on Radio 2’s satiric programme “De Rechtvaardige Rechters”. Teaching traditional music by ear and conducting ensembles became second nature to him after attending a lot of international ETHNO music camps, and leading the East-West and Balfolk ensembles of Muziekpublique. After 25 years of intense amateur music experience of all kind, Sami discovered folk and traditional music through the ETHNO movement. He has now been a participant of more than 10 ETHNOs and ethno-like events. After being trained as an artistic leader in Ethnofonik, he has been leading in ETHNO England, helping in various other ETHNOs, as well as organizing the ETHNO France. Sami is a French-Tunisian musician and multi-instrumentalist (percussions, guitar, voice, piano), who's educated as a classical percussionist. In everyday life he is a trained scientist (he has PhD in music acoustics and the physics of musical instruments from Aix-Marseille University), who works as a physics teacher, and a researcher in acoustics at the University of Lyon. Sami currently plays percussions in a New Orleans-style brassband/streetband Marcel Frontale, guitar in the Kabyle music band Iles ⵉⵍⴻⵙ (berber music from Algerian Kabylie), and recently started a world traveling music duo: Vilma and Sami. Lauren grew up in a household of musicians, and was eagerly making noise along to her dad’s jazz band on the percussion suitcase at age of 4. She went on to learn the piano and violin, growing up on classical and jazz repertoire, and eventually discovering her musical home on the folk fiddle in the pubs of Oxford while studying music at the University of Oxford. Now she plays and sings with several bands at the crossover of folk with other genres, including Guerrilla Ceilidh and Òkina, and loves to explore music around the world. She took part in Ethnofonik 2015 and Ethnofonik All-Stars and has been stuck into the ETHNO world since she started organising ETHNO England in 2015. After graduating from traditional music at Viljandi Culture Academy, she started to organize different courses and music camps for people, to spread the word about the coolest music in the world - the folk music! It is a great pleasure for her to meet all these wonderful talented youngsters every year. The way they create that special ETHNO-world, inspires her to organize the camp again and again. Margit is in charge of everything you need to feel comfortable: food, accommodation, travelling, washing facilities, lanyard cards, T-shirts etc. In addition to artistic leadership, Merike is also in the organizational team of the camp, working throughout the year to make the event happen. Together with Margit, they create the agenda of the camp, organize roadtrips, concerts, surprises etc. Her main role at the camp is to keep an eye on everything related to the the programme: workshops, concerts, riders, dancing etc. Henrika is a smiley and helpful young lady from the island of Saaremaa. She plays recorder and bagpipe and studies traditional music at Viljandi Culture Academy. For her the ETHNO camp is a magical experience of two weeks with the most awesome people, an unbelievable adventure and a musical journey around the world. Henrika is the right hand of Margit and Merike at the camp. Leon is a lighthearted chap from Tallinn who has played guitar for most of his life and been to ETHNO camps for many years. What he likes most about ETHNO is the sweet, careless atmosphere in which everything seems possible! This year, Léon is the storyteller of our camp, ready to share all our joys and sorrows. Sofi alias “the little one”, is actually a big hugger. She comes from Tallinn, the capital of Estonia. Last year, life brought her to Tartu where she started traditional music studies at Heino Eller Tartu Music College. She got the first impulse to study folk music right from ETHNO camp in 2016. After years of classical and academic music experience, Sofi needed new challenges, discoveries and a fresh way of expressing herself. At the ETHNO camp se refound her love for music. What most delights her at the camp, is the sincere communication between so many different personalities. When all these amazing people from so many different backgrounds get together, then something truly miraculous is bound to happen. At the camp, Sofi is ready to help everyone with everything. food for the duration of the camp from 16th to 25th July (breakfast, lunch, dinner, and two light meals) NB! Viljandi Folk Music Festival not included! The confirmation of acceptance to the camp will be sent no later than 2 weeks after registration. After receiving the confirmation, please transfer a non-refundable prepayment of 40 € to the bank account of MTÜ Eesti Pärimusmuusika Keskus (NGO Estonian Traditional Music Center). Prepayment guarantees a place at the camp! The remaining 190 € should be transferred to the account of Estonian Traditional Music Center by the 1st of June 2019, at the latest. In details of the payment, please mark “ETHNO Estonia 2019” and your name. Registration closes on 1st of May. We will stay at Kõpu school from Tuesday to Thursday (16-25th July). We’ll learn tunes, rehearse, dance, jam, go on roadtrips etc. We’ll have three meals a day and sleep on the floors of classrooms with our own mattresses and sleeping bags (7-15 people per room). Washing facilities are in the school’s sports hall. On Thursday, 25th July, we’ll move to Viljandi to kick off the Viljandi Folk Music Festival. Our basecamp for the duration of the festival will be in the sports hall of Viljandi Kesklinna School (Uueveski tee 1). We can stay there until the 29th July, lunchtime (the hall must be vacated by 12 o’clock). NB! The alimentation during the festival is not included!